When it comes to social media, it's becoming safe to say that we'll remember 2015 as the year of Snapchat. The app was already wildly popular with high school and college students, accruing 100 million daily users, but in the last several months, it's become a media and marketing force to be reckoned with. For instance, in June, Snapchat CEO Evan Spiegel was the keynote speaker at the Cannes Lions International Festival of Creativity, where he announced a vertical-video ad agency in a partnership with WPP and Daily Mail. 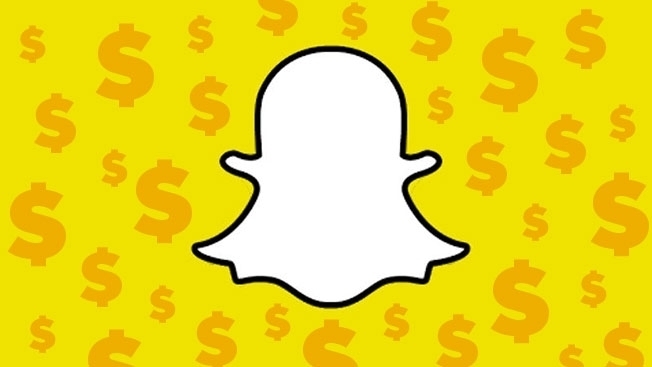 Brands like Jim Beam, Procter & Gamble and McDonald's have been running Snapchat ads, and a few weeks ago, Mashable, food publisher Tastemade, and IGN joined other media companies like Cosmopolitan, CNN and Major League Baseball in getting access to Snapchat's Discover publishing program. And Snapchat's positive business activity didn't stop this week. Here are three more developments that show how the mobile app continues to blow up in the marketing world. 1. The National Football League is on board. Are you ready for some football, Snapchat users? Yesterday, the NFL joined the Snapchat Discover program, which makes content available for 24 hours instead of disappearing after a few seconds like the app's ephemeral photos and videos. No offense to MLB, but if pro football wants to partner with you, you've officially made it. 2. Burberry is creating a social runway. Burberry, which in recent years has shown a predilection for cutting-edge technology, said on Thursday that it's going to introduce new clothing lines with an effort called Snapchat Show. The British luxury-fashion house will offer viewers a series of behind-the-scenes videos and photos at 2 p.m. ET on Sunday. Like the NFL, it's using Snapchat Discover. So, after 24 hours, Burberry's content will vanish just in time for the beginning of its womenswear show Monday at London's Kensington Gardens. "With Snapchat, Evan Spiegel has created a phenomenal platform that captures the spirit of a moment," Christopher Bailey, Burberry's chief executive, said in a statement. "We are excited to be working with him to launch the Burberry Snapchat Show allowing a unique, real-time view of the creation of our show which will include an unprecedented collection premier hours before it hits the runway." 3. Goldman Sachs will run ads. Um, yes—that Goldman Sachs. Goldman Sachs has had a rough time as a brand since the financial collapse of 2008. Now, it's turning to Snapchat to zero in on college kids with short video ads via Snapchat's Campus Stories channel. The investment bank's promos started today, targeting some colleges where it recruits for staffing and others where it does not, and the ads will roll out to a total of 50 schools in the coming weeks, per BuzzFeed News. "Our overall media strategy has been to go where our target audience is consuming information," Amanda Rubin, Goldman's head of brand and content strategy, told the website. "We're very focused on campus recruiting, they're all using these platforms, with Snapchat being on one of the biggest platforms for millennial use." Credit Goldman for staying current on how to reach soon-to-be college grads. And it's another sign Snapchat is becoming the go-to place for millennial marketing.